We all grow old but we don’t often picture what our life will be like when we’re elderly. At 98, Mary Tony has lived a long life and can still walk on her own and has her health. But, as this touching video reveals, she often struggles with loneliness. 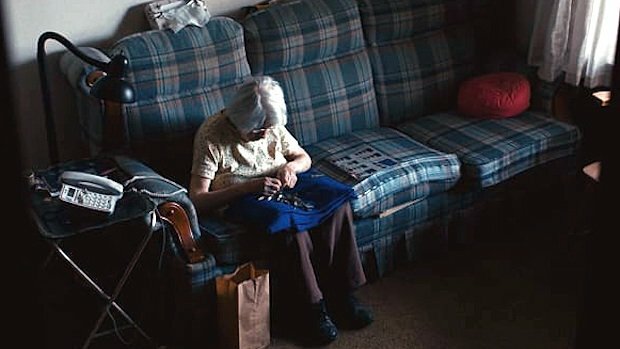 Mary lives alone, and does not have the daily interactions with people that she would have in a retirement home or living with her family. The film crew, known as Voyager, decided to follow Mary in her daily routine to gain some insight into what it’s like for someone of her age to live on her own. Mary has a lot of practicality and wisdom about her life, but it’s still a difficult struggle figuring how to keep herself busy and occupied. One place she loves to go, and which is a life line to her, is the senior centre. There, she can meet and socialize with others, something she cherishes. So when a visit was organized by the senior center to her home, she was overwhelmed. “I love you all for coming..it’s made my day and I’ll never forget this,” she says through tears. This touching video goes to the very heart of growing old and how important it is to stay connected to elderly people. There are many Marys that would be grateful for a visit. Remember to give the gift of your time to your elderly loved ones! Don’t put off giving them a call or a visit!